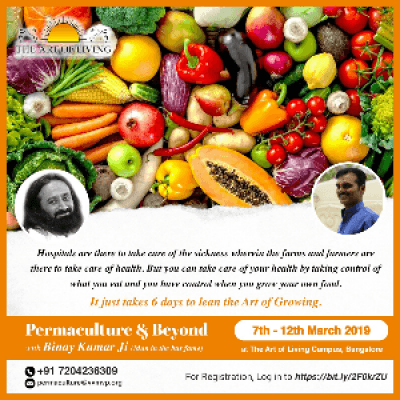 Permaculture is designing the landscape in such a way as to produce healthy and rich nutritional organic food, vegetables and create micro climates that will help repair the damage caused to environment with the advent of modern life style. It also teaches how to grow healthy food by not using chemical fertilizer and pesticide. It also teaches how we can make urban area into green pastures and how can one grow organic vegetables in urban areas. working with the rhythms of nature. 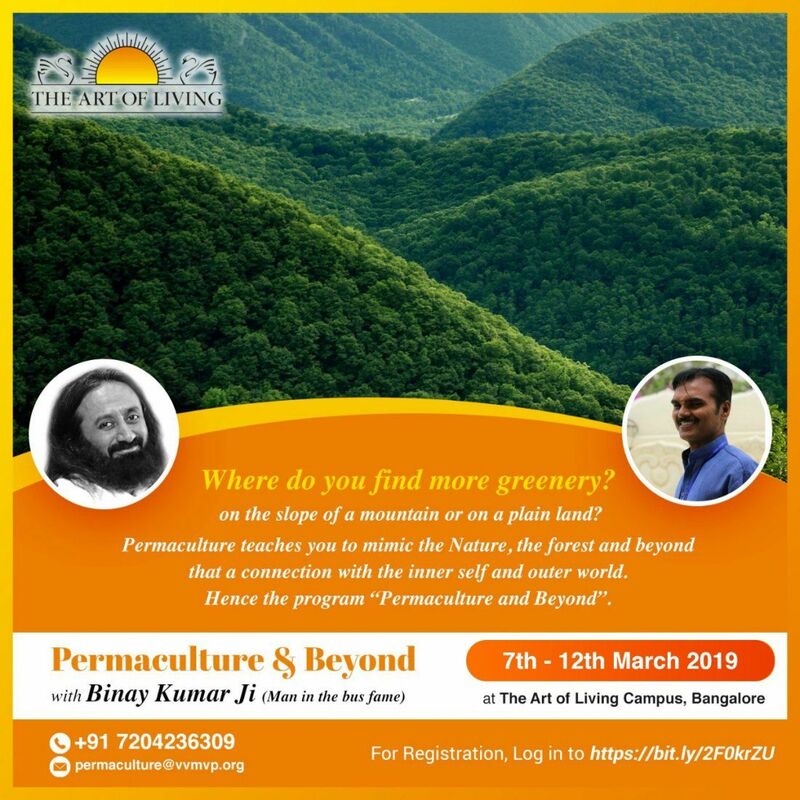 The Art of Living, which has been at the forefront of promoting and initiating several chemical-free farming, successfully demonstrated benefits of permaculture farming on a seven-acre land at its international center in Bengaluru, India. Here is opportunity to learn that scientific design which is completely holistic, sustainable.